Chris Litson has personally stored his belongings with Poway Road Mini Storage for one year, and his company, Bridgford Foods Corporation, has stored with San Diego Self Storage for about four years. 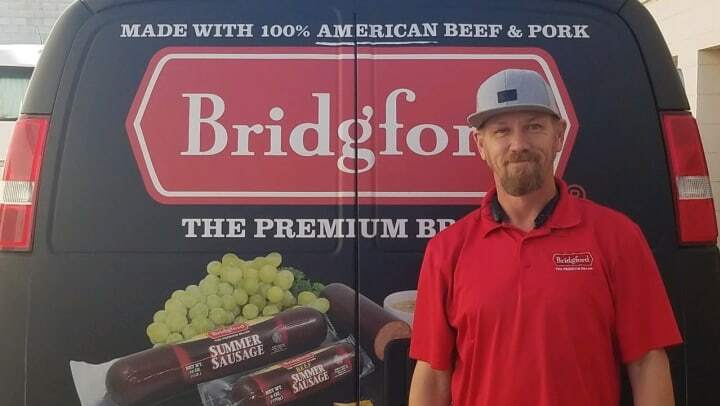 Working in the Sales and Services department at Bridgford Foods Corporation, Chris is responsible for delivering his merchandise to 42 Walmarts and 21 Big Lots. Bridgford is one of the leading shelf-stable food companies. They make everything from dinner rolls to pre-made, long-lasting food items for the US Military. They make their food products all over the US- from the west coast to the east coast. As dedicated as he is to the business, Chris still finds time to volunteer with multiple organizations in his free time. During one of the charity events at the Elks Lodge, his group was able to feed over 150 people. He is an Assistant Scout Master with the Boy Scouts and is on the Committee for the Cub Scouts. Working with both sides of the organization gives him the opportunity to help different causes and charities throughout San Diego. With all of his volunteer work, Chris is happy that the company he chose to store with also participates in charitable work throughout San Diego. Chris continues to keep his business with PRMS because we give him the peace of mind that his business is safe with us. One of the biggest contributing factors for Chris is that we maintain a clean and pest-free location. We love having Chris as a tenant because he is always cheerful and friendly whenever he stops by. Thank you, Chris Litson and Bridgford Foods, for being a loyal tenant of Poway Road Mini Storage!